Barham Salih, the newly elected president of Iraq, paid his first visit to Tehran last week. Iran has acted as a major ally of Iraq since Saddam Hussein was overthrown by the US in 2003, and in the last few years it has helped the Iraqis confront Daesh. Both countries reportedly emphasized Iran’s importance as the first responder when Daesh expanded in Iraq in 2014. But that does not mean Iran’s agenda was noble. While it supported Iraq in confronting the terrorists, Iran’s Islamic Revolutionary Guard Corps (IRGC) was creating a Shiite militia, Al-Hashd Al-Shaabi, along the lines of the Tehran-backed Hezbollah in Lebanon. It is not easy to dismantle such well-invested and trained militias; this is well known by the Iraqis and Lebanese. Countries in the region are fearful of the support given to these militias, which are considered a source of division and hatred in societies with fresh memories of sectarian war. It is up to Iraqis to choose what works best for them and their national interest. The IRGC is a good example of how a militia can become stronger than a national army, acting separately from and not accountable to the central government. Hezbollah in Lebanon is not the only example; there is also the Fatemiyoun in Syria. Iraq’s Foreign Ministry recently asked the US Embassy in Baghdad to respect Iraq’s sovereignty after the embassy called on Iran to disband Al-Hashd Al-Shaabi. 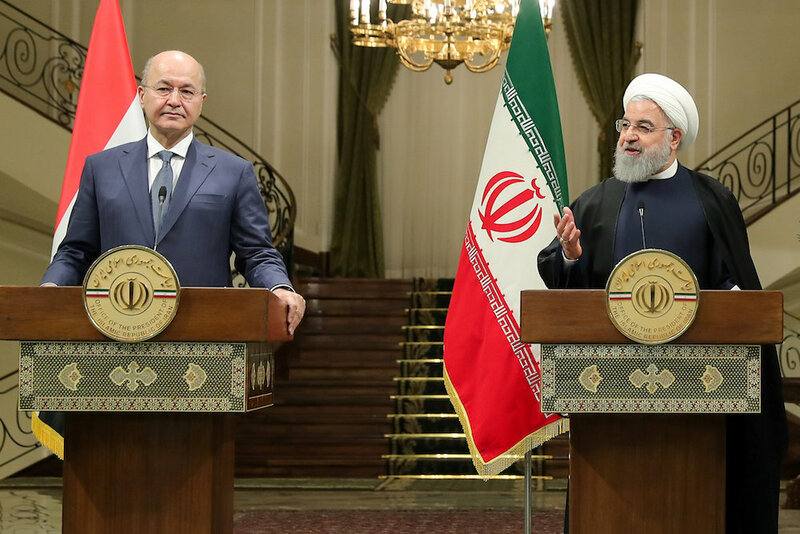 Salih faces a difficult choice: Develop relations with the US and count on its financial resources for construction, modernization and military training, or remain friendly with Tehran and be sidelined by Arab nations and abandoned by Washington. Perhaps by choosing to visit Jordan and the UAE before Tehran, Salih was showing Iranians where his priority lies: Pursuing better relations with Arab nations and the US. Iran’s Supreme Leader Ali Khamenei openly asked him to maintain Al-Hashd Al-Shaabi. But this is not up to Tehran; it is up to Iraqis to choose what works best for them and their national interest. The Middle East is passing the phase of extremism and heading toward peace and prosperity, as everyone is tired of civil and ethnic wars. Trump does not need to remind us who the source of division and trouble is; the region can see for itself.